The day before Microsoft is set to announce its plans for its Windows desktop and mobile platforms, US operator AT&T has detailed its new Windows Phone portfolio, announcing it will carry the HTC Titan, Samsung Focus S and Samsung Focus Flash. 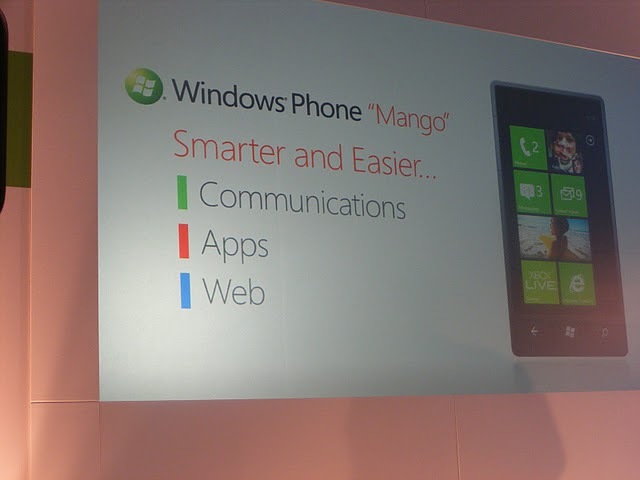 All of AT&T’s Windows Phone devices will be powered by Microsoft’s new Windows Phone 7.5 updated (codenamed Mango) and it has committed to upgrading each of its existing Windows Phone handsets to the update in the Fall. The HTC Titan features a single-core 1.5GHz processor, 8 megapixel camera with autofocus, dual LED flash and 720p movie mode, front-facing 1.3 megapixel camera, a 4.7-inch screen, 16GB of internal storage and a 1,650mAh battery. The Samsung Focus S sees an upgrade to the popular Focus, featuring a 4.3-inch Super AMOLED Plus display, 1.4 GHz processor, 4G-capable speeds, a front facing 1.3-megapixel and rear facing 8-megapixel camera. The Focus is just 8.55mm thick, taking you into Galaxy S II territory. The Focus Flash is a value Windows Phone handset, shipping witha 3.7-inch Super AMOLED screen, sports a 1.4 GHz processor and a 5-megapixel camera plus front facing camera. The 4G -enabled smartphones will be available in the fourth quarter, launching in time for the holiday season.